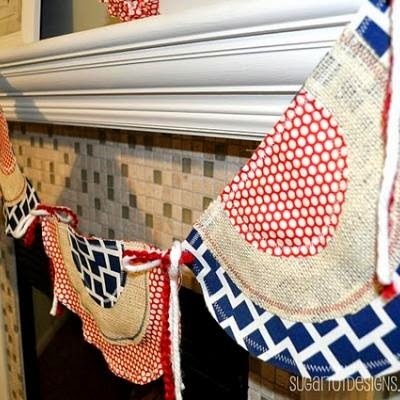 A cute little red, white, and blue burlap banner for only $12.99 (and 40% off if you use the coupon). I decided to forget my do-it-yourself project and share this cute little banner with you!! You need to RUN to Hobby Lobby right now and snag one for yourself!! Check out this cute table runner! My kiddos love getting to help with crafts. They could do this craft for me!! It would be the perfect thing to do on a rainy day. 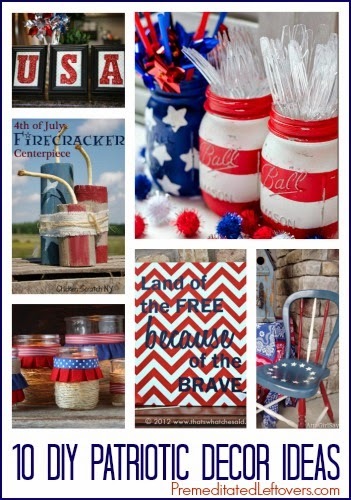 This blog had so many cute ideas for easy DIY patriotic crafts!! I fell in love with this bunting banner!! Isn't it cute?? 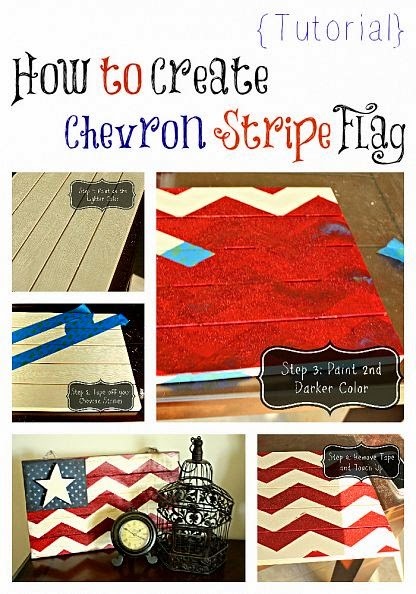 This chevron DIY flag is adorable! You could make it big or little...the perfect size to fit your space! Hope you found a little inspiration OR you're headed to Hobby Lobby STAT!!! Well I'm thinking heading to hobby lobby because when I DIY it never turns out the way it should. Lol. I have never been into patriotic decorations until this year...and now, I'm pretty obsessed! Loved these ideas! All of the pictures are so cute. I love your Hobby Lobby find! No need to even try to make it for that price. Hobby Lobby for this girl for sure!!!! I love the banner! You should see what I did to my yard for our Memorial Day cookout. Paints stars and stripes on my yard! Easy, fun and a great touch to any patriotic party! Wow!! I ansolutely love all of these!! I hope I still have time to snap the bunting from Hobby Lobby!! And that chevron flag is amaze!! !